What are the Best Restaurants in Long Island? Long Island restaurants are known for having some of the best food on the East Coast, ranging from Italian and seafood to gourmet vegetarian and vegan options. Whether you’re looking for something more casual or hoping to impress on a romantic date, our list of options from Acura of Huntington are just what you need! Serving delicious Italian cuisine with gluten free and vegan options, Cafe Silvium allows everyone to enjoy their dining experience. Specialities include hand-made pastas, particularly the cavatelli. If you’re looking for a meatier option, consider the chicken, fish, or veal dishes! Right in the heart of Huntington, Restaurant Joanina gives Long Island eaters a chance to taste Italian “down-home cooking” and wood-fired specialties. Pair your meal with Italian wine. Famous for their fried clams, Bigelow’s New England Fried Clams has a wide variety of seafood options for Long Island drivers. From chowders to their fried foods, check out this Long Island seafood restaurant staple! Find great service and even better seafood. Rowayton Seafood offers a wide range of gluten-free options and other fresh delicacies. 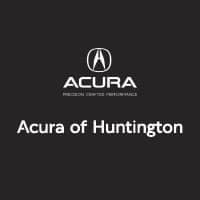 Here’s How Acura of Huntington Can Help! Since we’re located in the Commack area, we can provide transportation to the best places in or around Long Island. Check out what our customers have to say about us! We have more to offer than just vehicles.. Our Service Center provides services from oil changes, filter replacements, and bulb replacements to transmission repairs. Contact us today for more info on the best Long Island food options. Looking to take your restaurant tour on the road? Be sure to check out our guide for vehicle maintenance before a road trip!